Look around your office, feds. Do your coworkers seem more likely to be fans of CSI: Miami than of any YouTube star? Chances are, they do. According to a report published by Politico Wednesday, the federal workforce is older than the American workforce overall. More than a quarter of federal employees are older than 55 and only 17 percent are under 35, as compared to 40 percent of private sector employees. 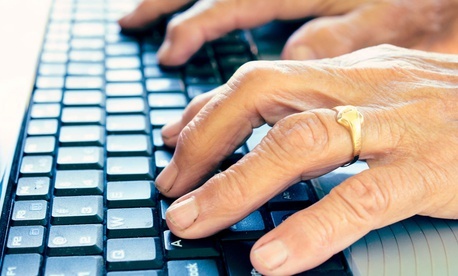 The age gap is huge in some agencies, with 80 percent of Government Publishing Office workers over the age of 45 and 69 percent of NASA employees over 45. Politico reporter Danny Vinik cites many reasons for the shifting age of the feds. The current economy is less stable and "it’s not exactly a surprise that many government employees have decided to continue working late into their careers," he writes. Additionally, the baby boomer generation was the largest generation in American history until it was overtaken by Millennials last year. Mostly, Vinik spoke to experts in federal personnel management and found that the government has done a poor job of recruiting and retaining younger workers. Congress has not always allowed agencies to hire more nimbly to bring in younger people, he notes. Vinik also places some blame on failed Barack Obama-era personnel plans to "make government cool" and the much-maligned veterans preference, but he writes that more generally, government culture is a problem for hiring young people. Government Executive contributor and University of Maryland professor Don Kettl explained the issue to Politico as a management problem. "It’s not so much a matter that old people are stupid and young people are smart," he told Vinik. "It’s that smart agencies develop a plan for a pipeline. The federal government’s biggest problem is it’s not very good at pipeline planning." For many Government Executive readers, this is not necessarily news. We've covered the generational differences in the federal government, the coming federal retirement wave, the problems with hiring younger feds and the challenges associated with elected officials criticizing the federal workforce. Vinik doesn't note the public sentiment against "bureaucrats" in his reporting, though comments have anecdotally suggested that is a factor in recruitment. Check out Vinik's reporting here on Politico's site.